Enjoy the coolest video projects we can find here on the web. Macleay College’s Melbourne Advertising & Media students have produced a TVC for the client COVERCARD as part of their VIDEO PRODUCTION class. Macleay Lecturer Lauchlan Pevie mentored the advertising students through the creative and production processes of producing their first TV commercial which included: concept development, scripting, storyboarding, pre-production, casting, costume, lighting, filming, editing and post-production. Advertising and Media students at Macleay College worked with ChildFund to create an original commercial to promote their “Run for Kids” program, encouraging everyday runners to take on a fundraising challenge for children living in extreme poverty. The live-project gave students insight into the real-world processes of working with a client to develop an advertising campaign, providing the hands on experience and industry focused learning that’s an integral part of the Advertising and Media courses at Macleay College. After pitching two concepts, ChildFund chose the ‘#findmeaning” idea from advertising students Bryan Sainsbury-Hore and Cassandra Sabin. The concept presents an everyday runner, with tweets and thought messages constantly appearing on the screen, reminding her of the many, but often superficial things that fill up our lives. As the runner rethinks her motivation, she is joined by a number of other runners, all running for a good reason – to support some of the world’s most vulnerable children through ChildFund. The hashtag #findmeaning emphasises that you can combine your winter fitness training program with helping children in need. The project offered students the opportunity to develop creative problem solving skills and production experience, while working on a live client brief. “The advertising industry is going through a dynamic and exciting period of change, where there are fantastic opportunities for young people with a broad and innovative approach to solving problems that are coupled with well developed digital production skills” says Head of Advertising & Media, Ian Thomson. The success of this recent campaign for ChildFund is one of many recent projects Macleay College students have completed for commercial and non-profit clients, including work with MyDish.com.au, The National Indigenous Culinary Institute (NICI), The Line project from Our Watch and The Pacific Artisan Project. Collaboration with industry is invaluable for our students, noted Ian Thomson: “We’re so grateful to have partners like ChildFund who work with and mentor our students, and in turn our students can create valuable advertising and promotional material for them to help achieve their business and communications goals. The experience is invaluable to helping prepare our students for industry. At Macleay College, we look forward to creating positive and collaborative relationships with industry now and into the future”. Macleay College offer a 1 year Diploma or 2 year Bachelor of Advertising & Media at their campuses in Sydney and Melbourne. Macleay College’s advertising students recently had the opportunity to develop and produce a commercial for the home cooking service ‘MyDish’. From the development of the concept, copy and storyboard, the students then filmed and edited the commercial. Each took on a different production role, from production manager, to casting, styling, locations, camera assistant, gaffer, grip and editor. 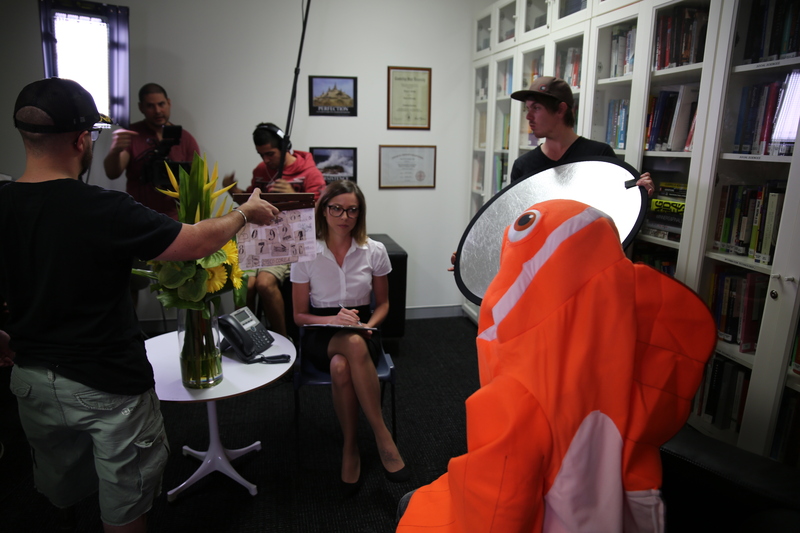 “A huge thank you to the advertising students of Macleay College, for My Dish’s new 60 second advertising film. After meeting with the head of the advertising faculty and video production lecturer, Ian Thomson at Macleay College’s Open Days with my son, My Dish was offered the opportunity to brief 2015’s advertising students on our business, products and services in order for a TV commercial to be created. Following the briefing, the students developed a detailed analysis of the target audience, a key message for the advertisement and storyboarded the whole video. To create authenticity, the filming was done at our home with the cast consisting of family and friends. On the day, we were all blown away by the professionalism of the students who were in charge of everything, from set, food styling and costuming to lighting and sound. Five weeks after the briefing, we were presented with a polished and professional TVC, edited by the students themselves. We couldn’t be happier with how everything went, and are thankful to Macleay College for the service they provided to our small business. We can’t wait to put it out there and see the reactions from our existing customers, and our target audience! Macleay College’s advertising students took to the streets of Surry Hills recently to film their very first TV commercial – against domestic violence. 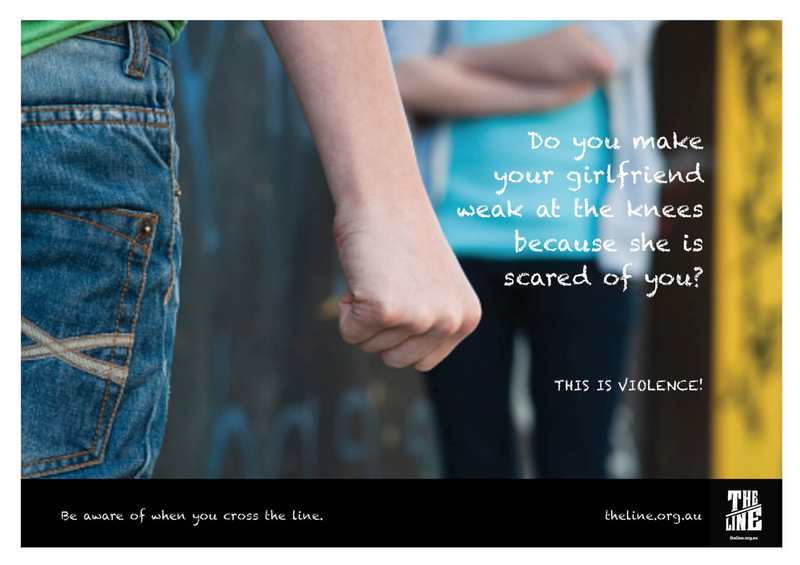 The concept, developed by advertising student Carlos Alcantara, sees teenagers talking about bullying, gender stereotyping and behaviour toward women, that often lead to domestic violence later in life. Carlos also developed a print and social media campaign based on his concept. The initiative saw students develop primary prevention campaign ideas that target young people for Our Watch – an Australia-wide, not for profit organisation focused on primary prevention that addresses the pre-determinants of violence against women. 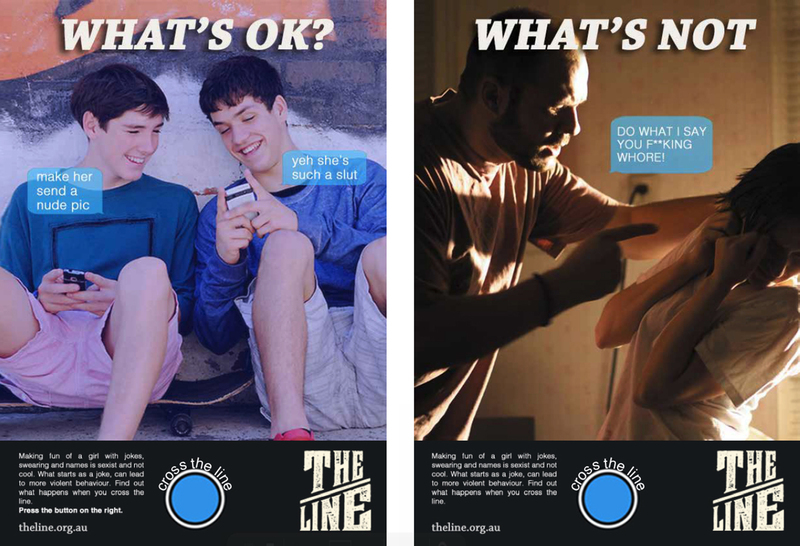 Advertising student Amanda Florence developed a concept that focused on comparing teenage behaviour that can develop into more violent behaviour later in life. Here’s a great article we found on Businessetc.com written by Cristina Finn. Geico creates a TVC you can’t skip! These are the lines of the genius advert that makes you fight the urge to press that skip button. Dubbed the “unskippable” ad, viewers have called it weird, wonderful and just down-right strange. (It’s the freaked out eyes that makes it, and the dog, of course). Or is that, the typography in music? Either way, check out this great video about creating typographic environmental graphics, chronicling 125 years of music for Sony. Please click here to like and share! 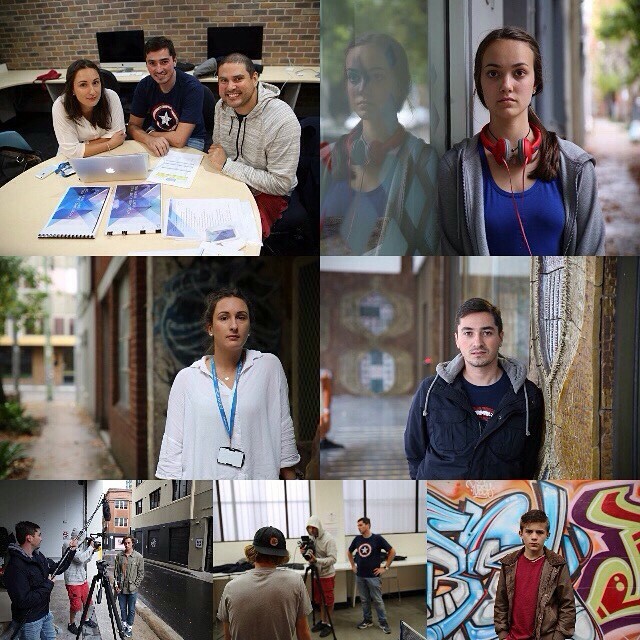 Macleay’s advertising students were busy on set recently, producing their own short film to enter the GET UP! Campaign to save the Great Barrier Reef .